Over the years, we have found that an often overlooked part of a memorial purchase is the monument's installation. 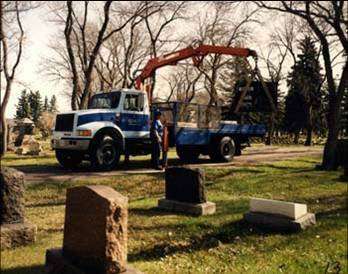 It is important that the installation is handled by professionals who have both the equipment and skills needed to install a memorial. For more information on monument installations, contact Remco today.